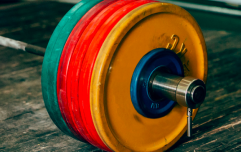 Minimalist training programmes focus on compound barbell lifts such as the bench press and deadlift. While these can help you nail the basics, calisthenics can boost your results even further. Calisthenics is the name given to a system of bodyweight gymnastic exercises that involve many movement patterns and muscle groups. JOE spoke to Harry Aitken, master trainer at Auster. Aitken's advice can help you make the most out of calisthenics for a bigger and stronger frame. JOE: Why are pull-ups and dips are so beneficial for your upper body growth? Aitken: "They are staple upper body exercises - the cornerstone of upper body push and pull exercises using your whole bodyweight. "Pull ups work your forearms, biceps, and most of your back including traps, rhomboids and of course the lats; when done properly you will also have some serratus anterior and abdominal activation too. "Dips work your triceps, front delts, chest and even your traps and rhomboids. So with these two exercises you are working pretty much the whole upper body. You're also performing extremely natural movements which is often overlooked." What is the crossover between calisthenics and other gym lifts? "If you're proficient at pull ups, you will be strong at the lat pull down - but if you're strong at the lat pull down it doesn't necessarily mean you will be able to do lots of pull ups. "When done properly and safely, pull ups and dips not only build muscle, but extremely strong joints, tendons and ligaments in a full range of motion." How should calisthenic exercises be programmed into a workout routine? "Unless you're very strong relative to your bodyweight, then chances are you won't be able to perform huge numbers of reps on these exercises. "So it's recommended you warm up and then start your workout with these exercises. For example, if you’re doing a back workout one of the first exercises you should be doing are pull-ups. "They are such a good back exercise, but if you leave them too late in the workout you won’t be able to perform any because of fatigue." How would dips feature in a training plan? 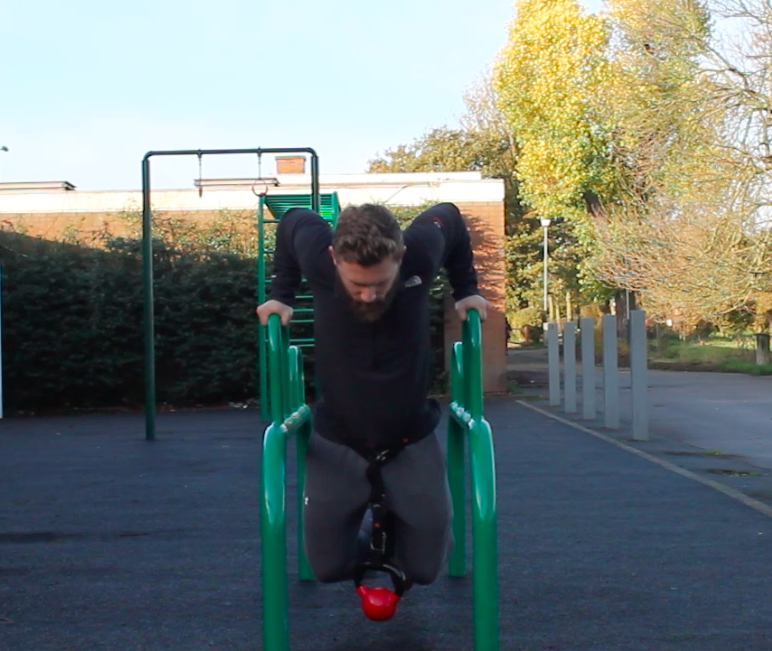 "Programming for dips is slightly different - they would usually be recommended for the end of a session rather than at the beginning as they simply blast your triceps and fatigue them very quickly. "If you're doing a chest workout in the gym, perform your usual dumbbell/barbell presses and flyes first, then begin dips. The previous exercises will have warmed up your chest, delts and triceps so you'll be ready to go straight into them." How would you progress from bodyweight exercises into weighted variations? Then add another 5kg and repeat. "If you are really strong you should be able to build up to doing a set of 5 reps with half your bodyweight in additional weight. "With dips, 8-10 reps is a good number to aim for in the warm up. Follow a similar pattern of progress here too." Do calisthenics need to be done in a gym? "These absolutely do NOT need to be done in a gym. There are many outdoor parks with bars that you can do these on. "It's pretty cold right now but in summer it's a perfect place to workout in the sun with some beautiful scenery around you. "You can get creative with how and where you perform these exercises. You can even do dips at home between two chairs. 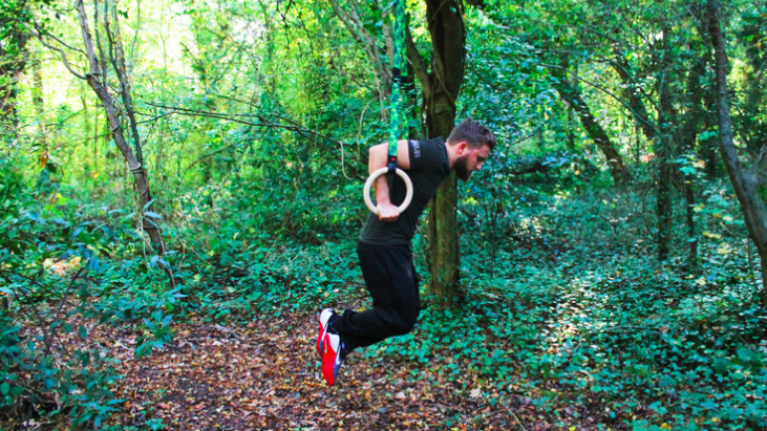 Use the Auster Everyday Kit or a pair of Rings you can go anywhere you want, hang them up and do your pull-ups and dips."